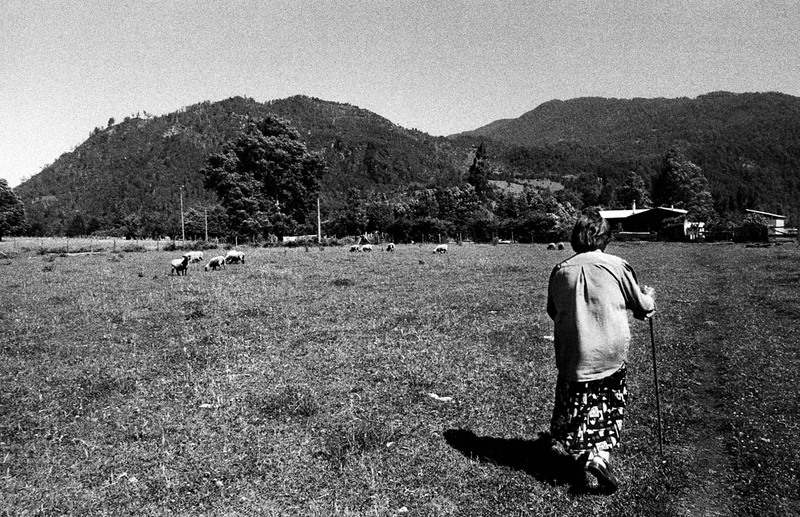 Mrs. Hueicha walking across the fields to her house in Reyehueico. Before the arrival of representatives from Trayenko in the area, the concept of "private property" was not an issue in Liquine. Today most properties are protected by fences to avoid unwanted intruders from the company on their land.